Maquia is from a clan where all the members stop aging in their mid teens. She has no parents and, although her days are peaceful, she feels lonely. Their peace is shattered when an army invades, seeking the secret to her people's immortality. Leilia, the most beautiful girl in her clan, is taken away; and the boy Maquia has secret feelings for disappears. Maquia is able to escape, but she loses her friends and her home. Wandering alone in the forest, she finds Ariel, a baby boy who has lost his parents. The story follows the changing relationship between the two as Ariel grows up and Maquia does not. 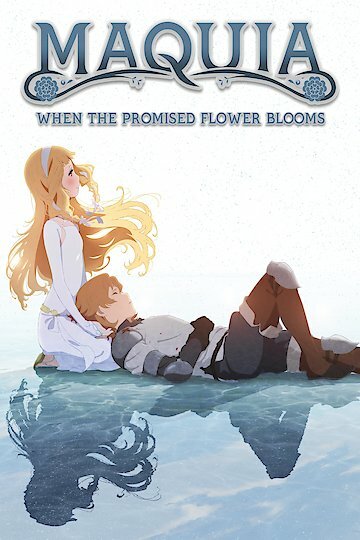 Maquia: When the Promised Flower Blooms is currently available to watch and stream, buy on demand at Amazon, Vudu, FandangoNow, iTunes, YouTube VOD online.